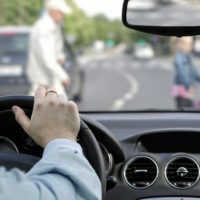 According to a Miami New Times report, Florida has the second most number of pedestrian fatalities. From January to June of 2017, 303 pedestrians were run over. The state accounted for 43 percent of the nation’s total walking deaths during the first six months of the year. Miami-Dade County is particularly dangerous for pedestrians, accounting for nearly a third of the state’s total. Because the injuries can be so devastating, it is essential that victims act fast to recover compensation for their losses. If you or a loved one was injured in a car accident in Florida, reach out to the Miami car accident attorneys at Spencer Morgan Law right away to discuss your damages and legal options. In the meantime, there are steps that you can take to help your own case. The first step you should take after any type of accident involving a vehicle is to call the police. The police will collect information from you, the driver, and any bystanders. When they talk with you, stick to the facts. Do not tell the officer that you feel fine, or that you “did not notice the car rounding the corner.” Any information that you share with the officer can be viewed by insurance companies and used against you later on. The police officers should call for emergency backup upon learning of your accident, but if they do not, call 911 yourself. If you are unable to make the call yourself, ask a bystander or even the negligent driver to call for you. This is something else that the officer should do, but if he or she does not, ask the driver yourself. Get the driver’s name, insurance information, license plate number, and contact information. Whether you do so via writing or voice recording, make sure to document the details of the incident as you remember it happening. Be as specific as possible, and do not be afraid to discuss how you felt both at the time of impact (terrified) and afterward (scared and in pain). If witnesses are still hanging around, ask them to give a brief testimony on what they saw happen. Your personal injury legal battle has only just begun. If you want to prevail against the insurance company and recover the maximum amount of compensation possible for your injuries, you need as much medical evidence as possible. Continue to see your health provider, follow his or her treatment instructions exactly, and attend follow up appointments. If you notice any new symptoms, discuss them with your doctor. Though the rules of the road are different for pedestrians than for drivers, pedestrians still have rights. If you were hit by a car while abiding by your rules of the road, contact the Miami car accident lawyers at Spencer Morgan Law to discuss your rights to compensation today.